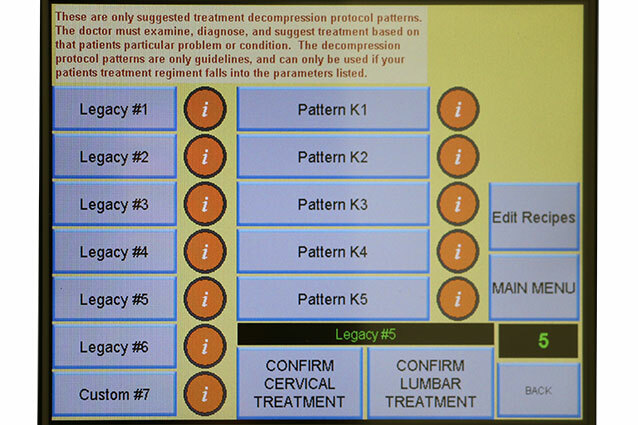 For difficult cases and situations that require advanced treatment, you also have the ability to create your own, fully customized protocols to best meet your clinics and patients needs. 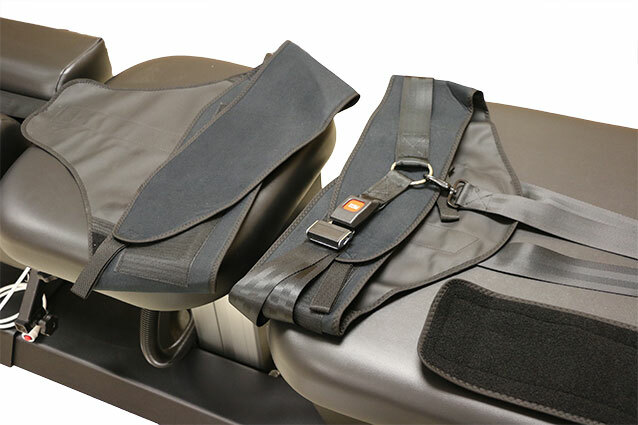 If your spinal decompression table has a partial lumbar harness or pelvic restraint similar to 3 of the tables on the market, your significantly overweight patients may not be able to receive as effective of a treatment. 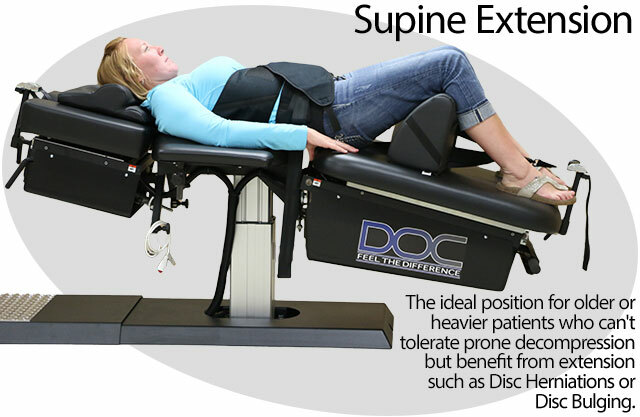 Thats why your DOC table features a full lumbar harness, designed to make it easy to treat patients of all sizes. 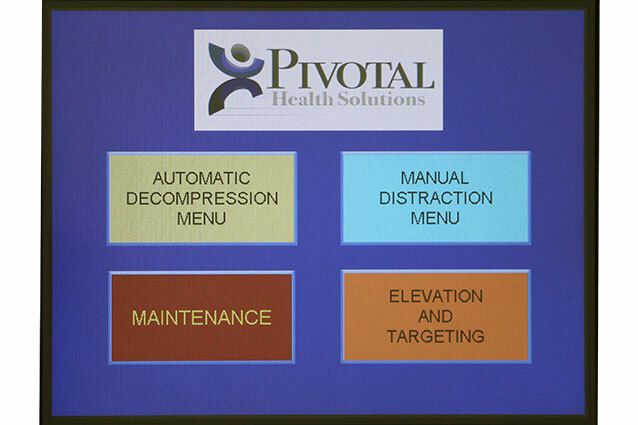 Your patients safety always comes first. 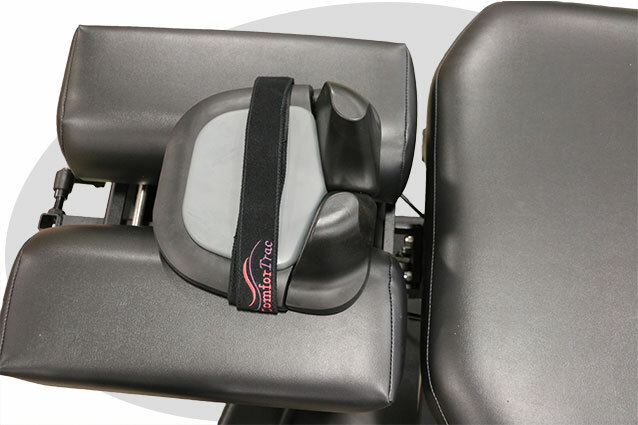 Every table also includes a Patient Safety Switch, making it easy for your patients to stop treatment in the event of pain, spasm, or discomfort. 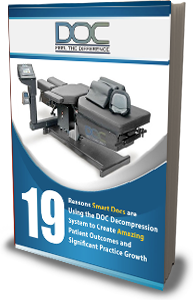 The DOCs digital display provides you with real-time graphing of treatments, cycle time, and decompression force, making it easier than ever to adjust treatments and fine tune protocol. 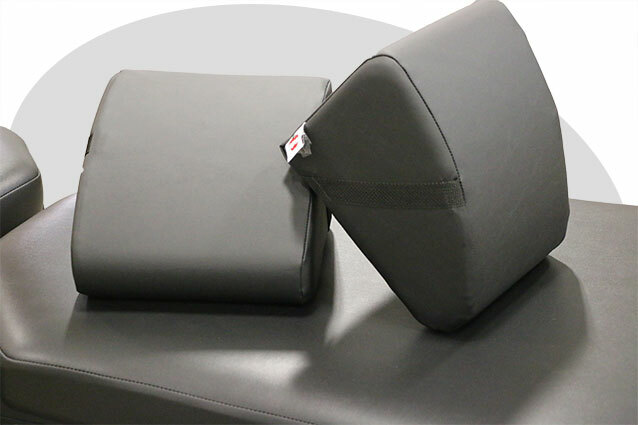 The DOCs knee pillows and arm rests dont just keep your table in great shape – they also keep your patients hips in flexion, which can be a huge aid to patients suffering from Stenosis and Facet Syndrome. 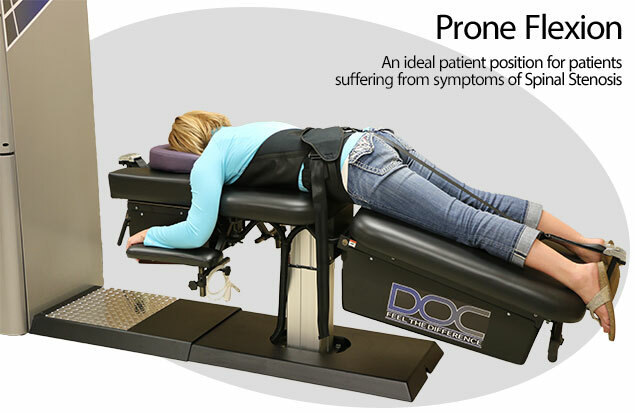 Similar tables use the SAME traction head to do BOTH the lumbar and cervical spine needing to spin the patient 180 degrees when switching from lumbar to cervical. 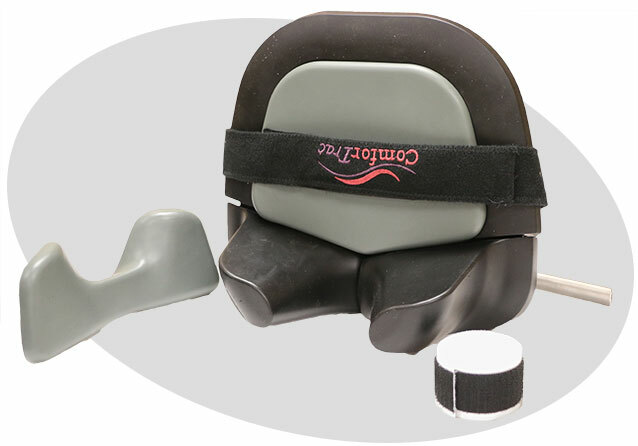 This puts a patients head where the previous patients feet were. 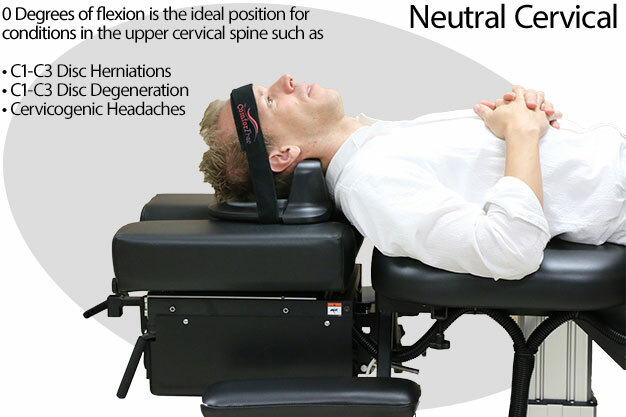 This is both inconvenient and unsanitary. 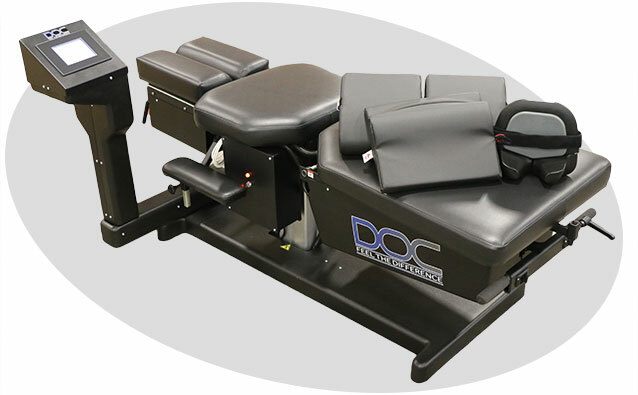 With SEPARATE lumbar and cervical motors operating independently there is no need to change patient position when switching from lumbar to cervical on the DOC table saving time while increasing efficiency. 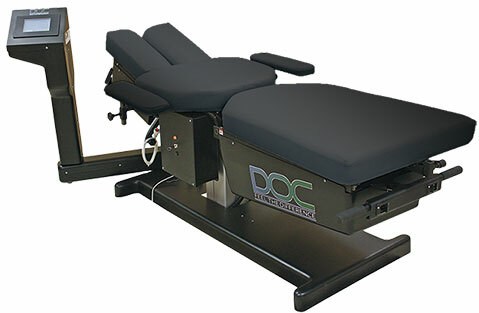 The DOC decompression table is built to last. 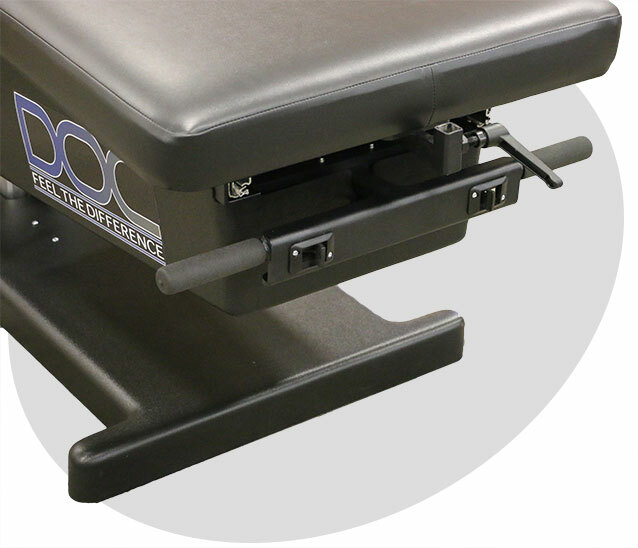 With more than 10 years of experience this table is one of the most reliable tables on the market. 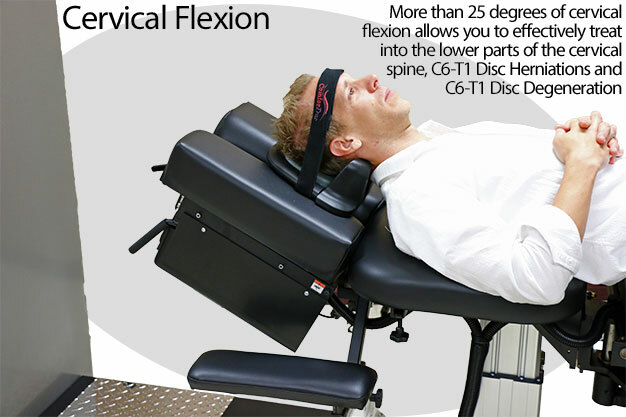 Additionally, the DOCs adjustable design makes it qualify for the Section 44 IRS tax credit, saving you up to $5,000! 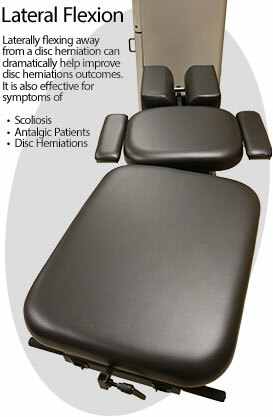 Choose from over 7 different colors to ensure that your table looks great in your clinic and alongside other equipment. 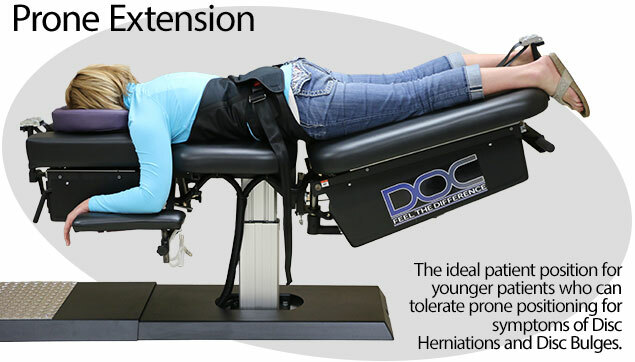 You will sleep like a baby knowing that your DOC spinal decompression table is covered end to end for both parts and warranty. 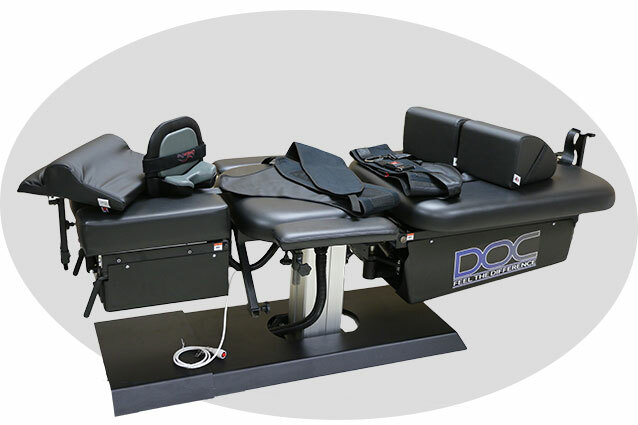 With our low price guarantee you will get one of the world's most effective spinal decompression tables without having to pay an arm and a leg. 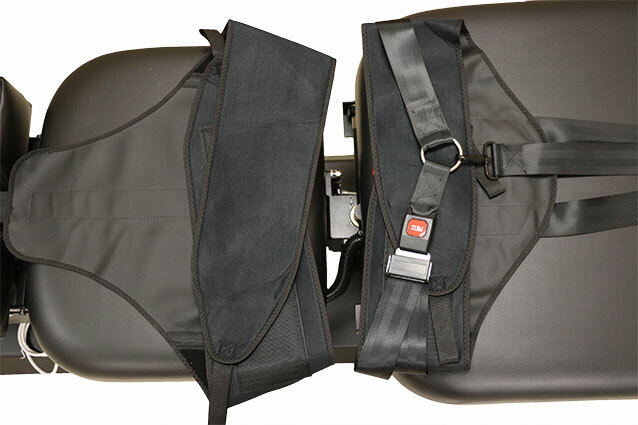 This will allow you to get a solid return on your investment. 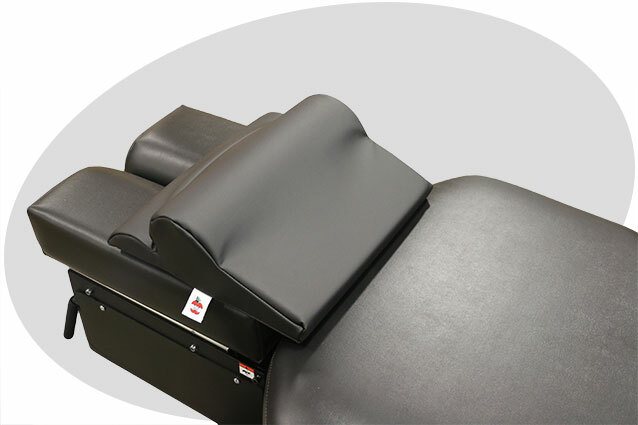 Thats why this table has been called the best table for your money.